This Guide is provided for visitors to the site who are not academics and are not used to working with manuscript materials. It clarifies some of the terminology used throughout the site and explains what to look for and how to read a manuscript page. Many manuscript materials do not contain page numbers, or if they do these may not correspond directly to the material contained in the manuscript. As a result every manuscript is given an individual page number e.g. 1r, 1v. Here the "r" stands for "recto", or right hand page. The "v" stands for "verso" or left hand page. In many manuscripts, particularly at a fair copy stage, the recto page is the dominant one. Many writers will enter their text initially on the recto page only, leaving the verso free. Why do they do this? The reason is simple. If they wish to revise the text or add to it, they can do so on the opposite page. Some authors will use the empty verso for doodles and sketches. Some authors will later fill that page up with material from another poem. In order to understand the manuscript it is important to be clear about the relationship between the recto and verso pages. 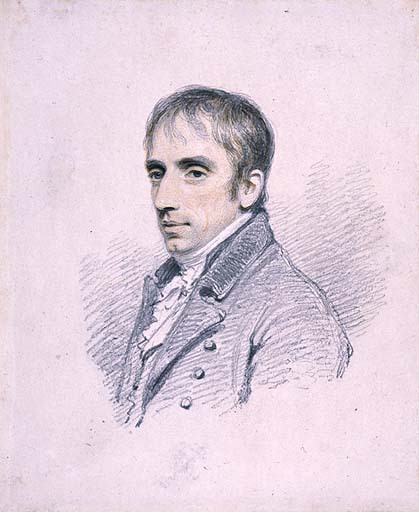 Manuscript materials, particularly for a writer such as Wordsworth, are often part of a sequence of work towards the development of a poem over time. For major long poems a considerable number of different manuscript notebooks will be used. It is therefore helpful to respond to material in terms of different stages of the process and to understand the overall order of the materials. The stage of process for the individual manuscript will significantly affect the characteristics of the page. Clearly, there will be no physical record of this stage of composition but it is important to bear it in mind, since the nature of the first written draft text will be affected by it. The first draft text of a poem is often the text that we value most highly. Why? Partly perhaps because it is the closest to the source of creativity, partly because all subsequent text stems from it. First draft varies considerably from writer to writer. Usually, however, it is likely to be the furthest from the text in its final form in terms of content. It is also likely to be written in quite a rough form, or with a sense of rapidity in entry. It may well not contain any punctuation. The material it is written on may also be significant. We cannot always be sure that first draft is actually the first "version" of a text. All we really know is that it is the first surviving written draft. Some writers may deliberately destroy first draft in order to protect process. The first draft text is followed by subsequent stages of redrafting and revision. At this stage of process the writer is still actively creative in response to text. Lines and words will be crossed out and replaced with ones closer to the meaning, mood or tone to be communicated. Certain sections of the text will be stable, whilst other areas or lines may be reworked a number of times. Some manuscripts for longer poems may contain copied (second or third draft) text but then break down into first draft (as in Prelude MS JJ and Home at Grasmere MS R). At some point, either after first draft or after re-drafting, the writer will make a clean fair copy text of the work. This might be made just for the writer, or in order to send the poem to someone else to read. For a longer poem, first fair copy is important in bringing together previous separate sections of the work and connecting them into one whole (as MS B does for Home at Grasmere). First fair copy will still involve active revision and redrafting by the writer, but the base text might well be in someone else's hand. Subsequent fair copy texts may then exist for a work, increasingly in different hands from that of the writer. The poem is now in a stable state, and so can be copied by someone else into a clean and easily readable text. The writer is now likely to be making only relatively minor changes to the base text, or possibly re-ordering or cutting sections. If a text is not prepared for publication then it will probably be left in a fair copy state. (See Home at Grasmere MS D). If the text is to be published, the writer or his amanuensis will prepare a copy to be sent to the printer. This needs to be very clean and clearly written. The Printers' copy often does not survive since it is not automatically returned to the writer. The text may exist in a printed version prior to actual publication. Where this is the case the poet will may make annotations and corrections relating to the publication of the text on the page, or more active revision. Again, for re-publications of texts a writer will often revise on the page of the earlier publication. Across the stages of process the text gradually becomes cleaner and more stable. In the earlier stages there is likely to be active re-writing, changes of direction or tone and material later abandoned. In the middle stages the writer increasingly cleans the text up and directs it, fine-tuning meaning with localised changes and structural alterations. In the later stages the focus is on domestic production of a clean and clear reading text ready to be sent to the printer (if it is to be published) or set aside. When working with manuscripts it is, first of all, essential to have a clear sense of priority, particularly if working with a particular collection in a limited time frame. It is necessary to set out what must be worked through in the time available and, ideally, what one would like to look at if enough time exists (the amount of ground covered will fall somewhere between these two positions). Initially, it is helpful to undertake a rapid survey of the whole in order to decide which manuscripts or notebooks are likely to prove most rewarding. Having identified parts of a collection for study you can then work through them systematically and with careful attention to detail. The first task to undertake is to work through key manuscripts by simply writing, or typing up, a summary of what is on each recto or verso page. This act is surprisingly important. Not only does it help to steady the mind, it ensures that you know exactly what is on each page, the shape and structure of the notebook, the reliability or otherwise of the facsimile edition (if working with one). In doing this, too, one can begin to identify certain pages which are visually interesting and blocks of work that may need to be returned to. This process amounts to an act of self-orientation, essential as a preparatory stage for later thought. You might want to undertake such a task for a number of notebooks initially, or for all the notebooks containing a particular poem or text, in order to have a sense of variation and comparison within them and to clarify the overall order and stages of development. Once such information is in place, you can then select an individual notebook to work on. At this point it is important to determine the order of entry of the materials in the notebook – making use of the earlier listing of contents to work through in detail and establish the shape of the materials and the relation of blocks of work to each other. Without a clear sense of the order in which material is entered into the manuscript, the critic will be lost, and is liable to make serious errors. Working with manuscripts is partly about achieving a certain level of confidence in relation to the materials, which must be in place before full engagement and interpretation at a level of semantic content can occur. All of these provisional self-locating activities may appear quite simplistic and mechanical but are actually of foundational importance. A sense of location is essential for effective localised use of compositional material. Having achieved a full spatial understanding of a particular notebook, you can then begin to work closely with sections of text within it. Remember that analysis of such material cannot be controlled to the same extent as is possible with critical use of a fixed text. The material repeatedly throws up aspects of itself which are to do with the uniqueness of every page of the manuscript, and which can therefore never be simply predicted or anticipated. You must be able to respond to this uniqueness.